Renewable Engine is a cross-border Research & Innovation collaboration aimed at facilitating direct knowledge transfer and technology development in the Renewable Energy and Advanced Manufacturing sectors through the provision of industrial research support and technology development grants to industrial partners. Alistair has built up experience within a number of engineering strands to include development work in the Hybrid Automotive industry and PhD research within the Biomedical Engineering sector. 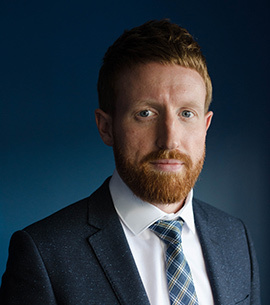 With a passion for innovation, Alistair has carried out significant new product/process development work across a number of programmes aimed at facilitating engagement between industrial partners and the Further/Higher Education sectors. With a strong interest in Project Management, Alistair holds a number of qualifications in this regard to include a Level 5 Extended Diploma in Management & Leadership and PRINCE2. He also holds an MEng Hons degree in Mechanical & Manufacturing Engineering awarded by Queen’s University Belfast.